Ryan leads a team of mixed-methods researchers working to change the US justice system to be rooted in the community, more equitable, and touching the lives of fewer people. Her areas of expertise include prison reform and research in prisons with a focus on young adults and family engagement. She works to disrupt power within research and has pioneered applied collaborative research studies in service to improving the living and working conditions in prisons and in partnership with the people most impacted: incarcerated people and corrections officers. 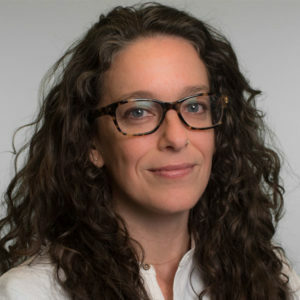 She holds a PhD in Women’s Studies from the University of Maryland and a BA from the University of Connecticut. The author, front left, walks through JVA Heidering prison in Berlin with facility Governor Anke Stein. The New York Times published a letter from Margaret diZerega, director of Vera's Family Justice Program. In response to an article about a new law in Arizona, she writes that it is counterproductive to charge people a fee to visit their family members in prison.